Interior doors can improve the detail of your home decor. The right doors can make your Spanish style home seem more authentic, or can open up your areas with custom door glass work and paneling. 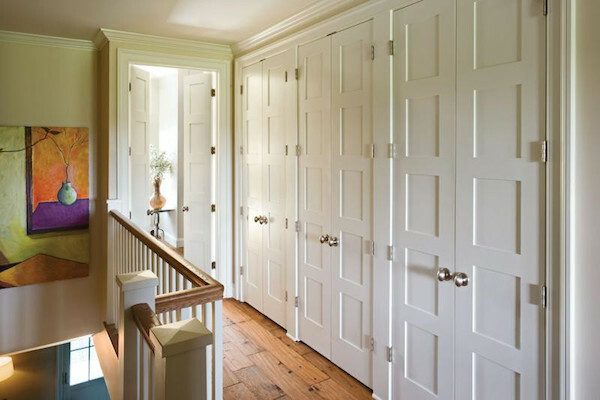 Interior doors come in custom shapes and a variety of sizes and wood combinations. Fusion can help you find the perfect interior doors to match your windows, interior design and home aesthetic. Fusion Windows and Doors only supplies our customers with the top door brands. Many of these brands have a lot of different types interior doors, such as pocket doors, or french doors. Other door types include sliding doors, bifold doors, and barn doors. Contact us, or visit our showroom to find the perfect doors for your home. Once you’ve found the perfect interior doors for installation, Fusion can help you with a matching crown molding to tie your design together. Whether it’s a new home, a remodel or a retro fit, Fusion has the experience with crown moldings to make your designer’s vision a reality. Don’t forget that Fusion Windows and Doors also does door installations. Our expert door installers will find a convenient time that works for your schedule to get your new interior doors installed. They will respect your property, and belongings. If you are interested in door installation, please don’t hesitate to contact one of our friendly team members. Jeld Wen’s Authentic Glass Panel series features authentic, solid wood construction and details, custom glass panelling. A ton of options exist within the 8 species of wood Jeld Wen offers, glass options from a single panel to 18 panels, and a variety of standard and custom finishes. These doors glasswork can be customized to be clear, textured or artfully decorated. These interior doors by Jeld Wen can be perfect for any installation. Wood paneling and authentic, solid wood in varieties like cherry, oak, maple, alder, knotty pine and more. Jeld Wen offers 11 different paneling patterns as well to create the perfect traditional or modern accent to your interior design. Brass, bronze and nickel hinge options ensure your design stays consistent in the details. Molded Wood Composite Doors by Jeld Wen offer an awesome stylish aesthetic and an eco-friendly build at an exceptional value. Tons of paneling design options and either a single swing or bi-fold open pattern allow for dynamic customization options. Smooth lines offer a contemporary aesthetic. Primed and ready to pain, Jeld Wen composites can be customized to suit any interior design scheme. Customize your homes interior environment with molded doors by T.M. Cobb. Choose from different door designs with countless different looks. These molded doors are an affordable upgrade that combine the elegance of raised-panel wood doors with a lower cost option.